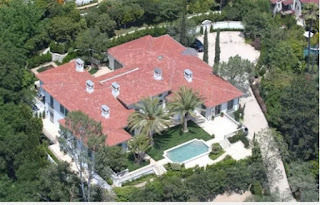 This Christmas, we launch an impassioned appeal to keep David and Victoria Beckham in your thoughts, after the couple reportedly decided to put their £24 million LA mansion on the market because it is too small. According to The Sun, the pokey 13,000 square foot home was purchased in 2007 – but they’re now hoping to upgrade to a bigger house so that sons Brooklyn, Romeo and Cruz have more space to play football. Describing the tragic plight, a source told The Sun on Sunday: ‘Victoria and David have both had concerns over the house for some time – especially about its size. ‘The garden is too small for football and the boys have to go round their friend’s houses – usually either Gordon Ramsay or Elton John – to have a kick-about. But now, the beleaguered couple have found light in desperate times – and have reportedly found a prospective buyer in the form of Arsenal’s majority shareholder, Stan Kroenke.